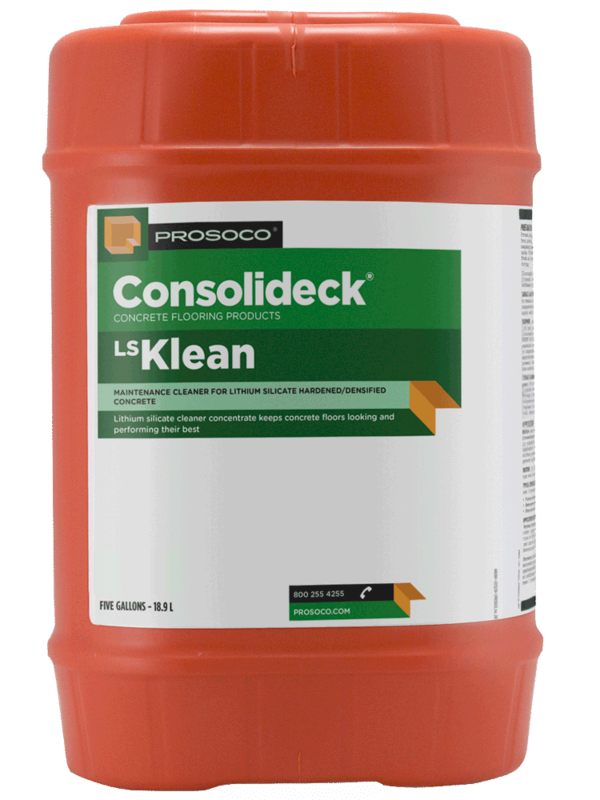 LSKlean cleans concrete floors while also making them harder, denser and stronger. 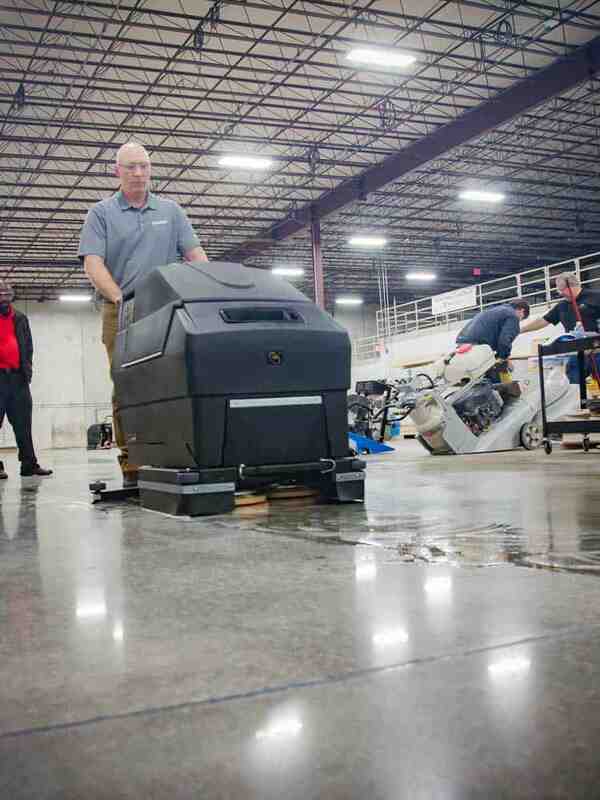 It is designed specifically for the unique surface chemistry of concrete floors, so it removes most common soiling while still maintaining the floor’s hardness and shine. Maintains concrete floor hardness and shine. 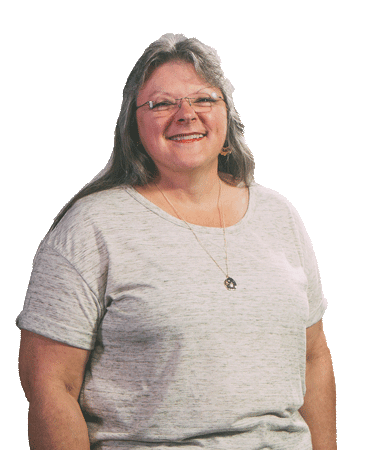 Flexible dilution for both surface and deep cleaning. 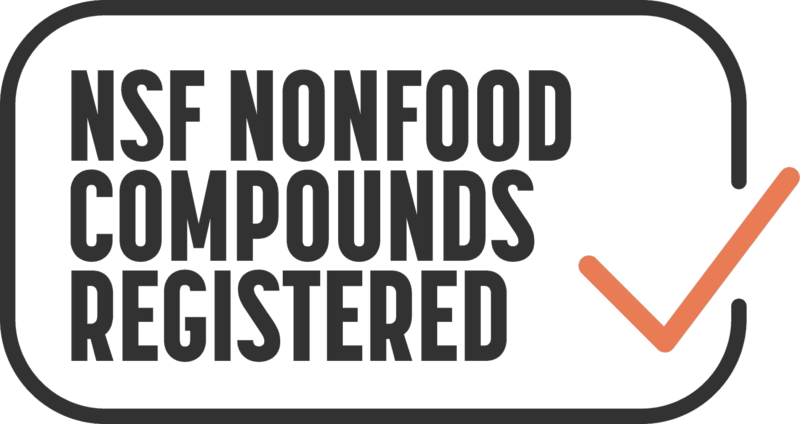 Available in convenient pre-measured 4-ounce packages for easy dilution. 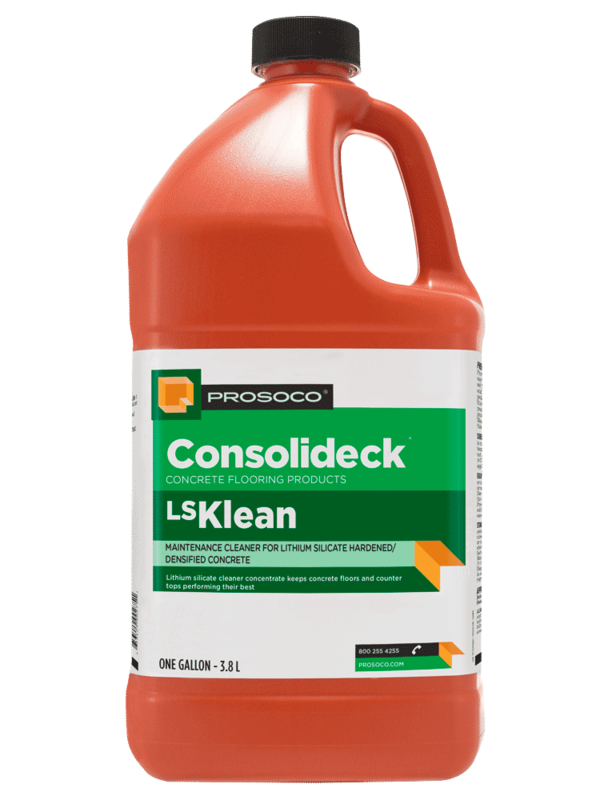 Consolideck® LSKlean is a maintenance cleaner specifically designed for concrete floors treated with lithium silicate hardening/densifying products. This specialized blend of degreasers and detergents removes most common soiling found on concrete floors. 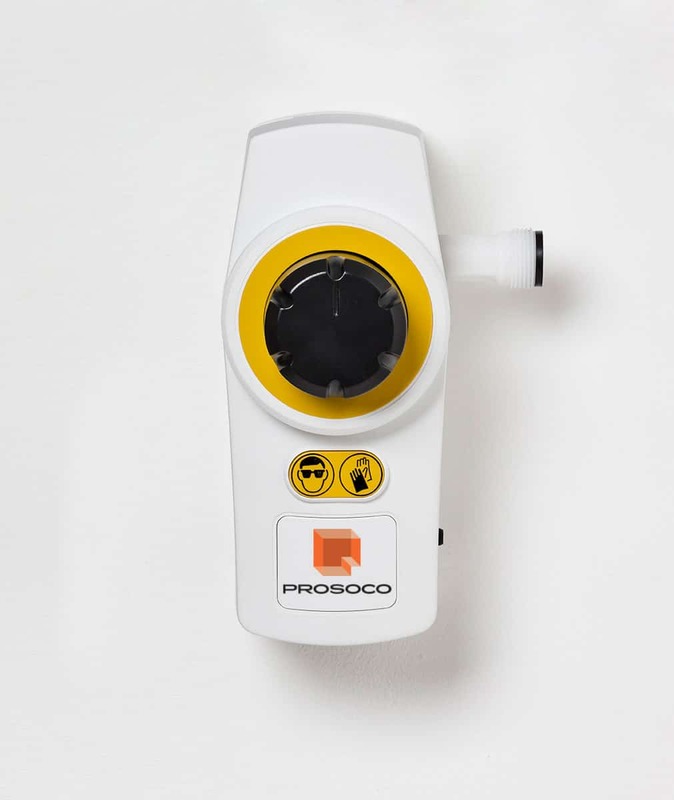 It is ideal for concrete floors everywhere, from warehouses and manufacturing plants to schools, stores, hospitals, restaurants and more. 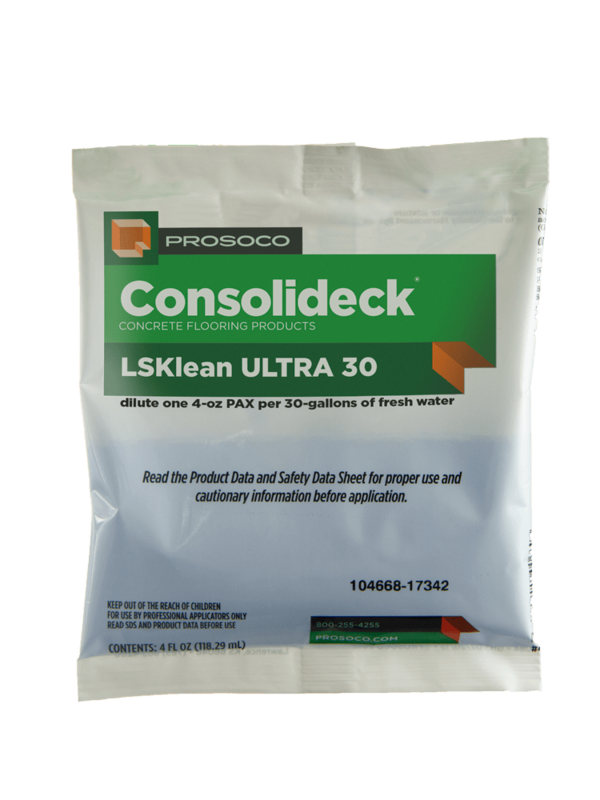 LSKlean has a lithium silicate hardener/densifier to help maintain concrete hardness. Regular maintenance cleaning with LSKlean as part of a comprehensive maintenance program ensures the highest appearance and performance standards for all indoor concrete flatwork. The Brightwell ECOMIX COMPACT high-flow dispenser is designed to automatically dilute Consolideck cleaners with water into a ready-to-use solution. Designed for use with Consolideck cleaners DailyKlean and LSKlean, the dispenser connects to 1-gallon, 5-gallon and 55-gallon containers for easier cleaning and maintenance of concrete floors.